The remains of an Iron Age settlement were found during archaeological work. The remains included evidence for a round house. The site is located 500m north west of Church Lawford airfield. A Middle Iron Age roundhouse was excavated at Rugby and Daventry Crematorium site in 2012. The roundhouse forms part of a growing corpus of similarly constructed features known from the region and represents further evidence for prehistoric land-use outside the major river valleys. Geophysical survey has recorded evidence for at least two phases of settlement at this location. A large number of finds recovered from this area through metal detecting and fieldwalking suggest that this settlement dates to the Bronze Age/Early Iron Age periods. The quantities of finds recovered also suggests the presence of a midden site. This site lies 500m west of Upper Chelmscote. A settlement dating to the Iron Age was found during an excavation. 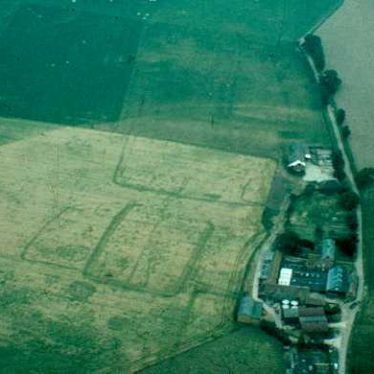 Round houses, ditches and a double pit alignment were found within an enclosure. The site is located 300m south east of Barford Wood. Explore Round House (Domestic) around Warwickshire. This map shows markers for every photo, article, historic site and catalogue record within the Round House (Domestic) category.